All it took for me to become interested in And I Darken by Kiersten White was the fact that it was a retelling of Vlad the Impaler but with a girl being centre stage as the Impaler whilst her brother was the softer one. Now I’ll be honest in saying I expected at least some elements of supernatural from this, probably because my brain can’t detach Vlad from his supernatural counterpart: Dracula. 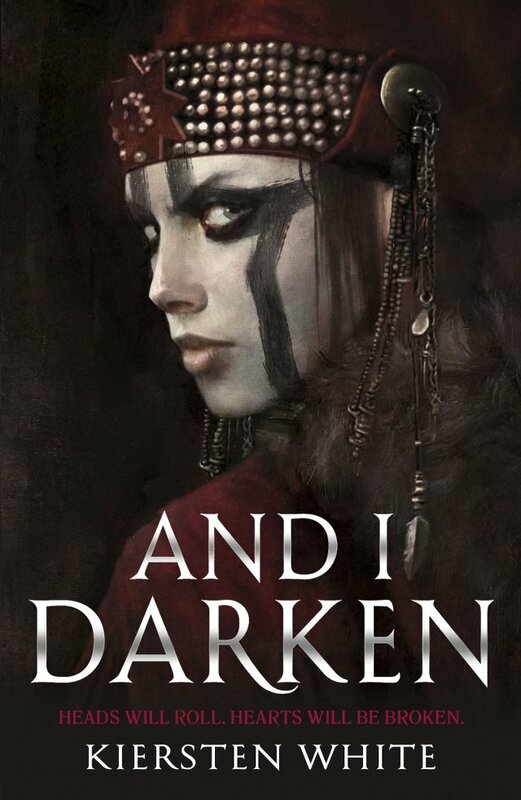 And I Darken has no such supernatural elements and is a historical retelling of the story. It was also bloody brilliant and definitely would make me consider reading more YA historical fiction. Lada and her brother Radu are the children of Dracul, head of Wallachia. They’ve lived all their young lives there, Lada doing everything she could to get her father’s approval and Radu doing what he could to stay out of the way of his bully of an older brother. But one day their father travels with them to meet the Sultan of the Ottoman Empire before proceeding to leave his children hostage there, to be raised in the foreign court. During their stay, they become friends with the Sultan’s son Mehmed and make friends with the Janissaries, the soldiers conscripted from a young age from all over the empire. Roughly the first third of the book takes place when they are all around the ages of ten to thirteen. I loved the book already by that point but some of those bits had me sitting there clinging to the book in terror of what might happen as these children were thrust into situations they seemed far too young to handle. But already it was impossible not to love Lada: not blessed with her mother’s pretty face, Lada makes me for what others see as lacking in sheer spirit and viciousness. And yet, despite how infuriating she can be—especially later on—I adored Lada. She is brave and unrelenting and uncompromising and so very strong. Meanwhile Radu is her softer counterpart, intelligent and quiet, he observes and learns to manoeuvre the court of their enemy with the efficiency his sister moves around a battlefield. The story is mostly one of political intrigue and romance with both Radu and Lada gravitating around Mehmed and learning to reconciliate—or not—their feelings for each other, the Sultan’s son, Islam, and the country they were forced to live in by their father. And I Darken is a story with heart. Each character is exquisitely crafted with all the contradictions that humans are made of, and become tangled in each other’s desires and needs. I loved the book from the start, there was something about how real everything felt, how much I could connect with the land and characters described that really whisked me away and into the story. But I truly fell in love with this story about a third of the way through, when we skip a few years to re-join Lada, Radu, and Mehmed when they’re older teens. 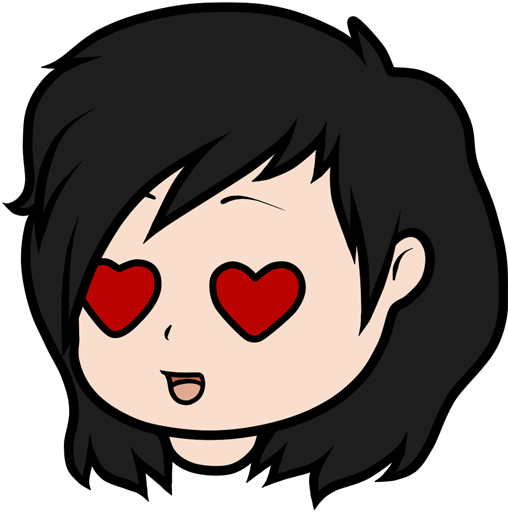 That’s when the political intrigue also really kicks in and oh boy those were my favourite parts. White writes beautifully, capturing the essence of the time and places she describes, building characters in a few strokes of words so that everyone we so much as encounter at a glance has a story behind them. It is hard not to fall in love with the places she presents us in the book, all so alive with history and people. What meant most for me in And I Darken was the fact that Radu is gay. He is also one of the two main characters. And neither if he the only LGBTQ+ character in the pages of this book. There are other gay and lesbian characters that move around him. His storyline is both beautiful and heart breaking and was also very close to my heart. Warning: minor spoiler ahead but I have to gush about that scene. There is this one moment in which Radu sees his sister kissing Mehmed and that’s the cinching moment where he realises he is gay, something he hadn’t fully understood until that point, and was a little frightened of. The scene is from his point of view, that turning moment when his world turns upside down and he realises that he cannot have the man he loves. It is, for me, one of the most poignant scenes in the entire book. Why? Because I have been there. I, too, wasn’t exactly sure I was gay until the guy I happened to like at the time came back to where we were rooming together to tell me he’d kissed a girl who was a mutual friend whilst on the tube with her. The emotions White writes for Radu may as well have been mine on that day. It was so very powerful to find this in a book, to feel so strangely comforted in that my experience was not a lone thing. I love that White included LGBT+ characters in her work even though we are very much in a historical setting with no supernatural elements. It was nice to see someone recognise that we have always been there, no matter how much people have tried to erase us out of history. 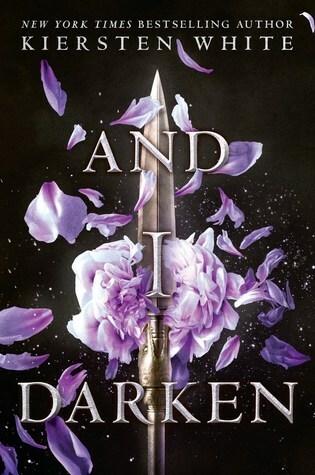 And I Darken is a book I want to recommend to everyone. Even if you don’t read historical fiction, even if you usually, like me, favour things with magic and dragons and vampires, you should read this book. This story didn’t magic and vampires because the characters that inhabit it are too wonderful, too deep and interesting not to fall in love with. I adored Lada, but I must admit to be more than a little in love with sweet, lovely Radu.